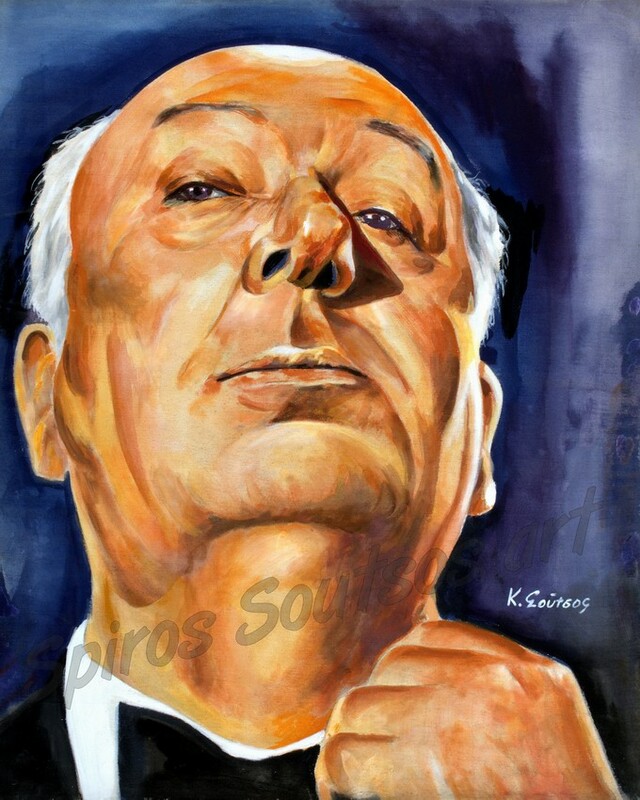 Sir Alfred Joseph Hitchcock, (13 August 1899 – 29 April 1980) was an English film director and producer, often nicknamed “The Master of Suspense”. He pioneered many elements of the suspense and psychological thriller genres. He had a successful career in British cinema with both silent films and early talkies and became renowned as England’s best director. Hitchcock moved to Hollywood in 1939 and became a US citizen, in 1955. Over a career spanning over half a century, Hitchcock fashioned for himself a recognisable directorial style. This style includes the use of camera movement that mimics a person’s gaze, forcing viewers to engage in a form of voyeurism. In addition, he framed shots to maximise anxiety, fear, or empathy, and used innovative forms of film editing. His movies often features fugitives on the run alongside “icy blonde” female characters, Many of Hitchcock’s films have thrilling plots featuring depictions of murder and other violence. Hitchcock’s films also borrow many themes from psychoanalysis. Suspicion (1941) marked Hitchcock’s first film as a producer as well as director. This film was the first of four projects on which Cary Grant worked with Hitchcock. Joan Fontaine won Best Actress Oscar for her performance. Hitchcock directed more than fifty feature films in a career spanning six decades, including the classics Shadow of a Doubt (1943) with Joseph Cotten, Spellbound (1945) with Gregory Peck, Notorious (1946) with Cary Grant and Ingrid Bergman, Rope (1948) with James Stewart, Strangers on a Train (1951) with Robert Walker and Farley Granger, 3D thriller Dial M for Murder (1954) with Grace kelly and Ray Milland, Rear Window (1954) with James Stewart, To Catch a Thief (1955) with Cary Grant and Grace Kelly, the remake of his own 1934 film The Man Who Knew Too Much (1956) with Doris Day and James Stewart and Vertigo (1958) again starred Stewart, this time with Kim Novak. He followed Vertigo with three more successful films. Two are also recognised as among his best films: North by Northwest (1959) with Cary Grant, and Psycho (1960) with Anthony Perkins and Janet Leigh. The third one was the horror film The Birds (1963) with Tippi Hedren and Rod Taylor. Hitchcock came first in a 2007 poll of film critics in Britain’s Daily Telegraph, which said: “Unquestionably the greatest filmmaker to emerge from these islands, Hitchcock did more than any director to shape modern cinema, which would be utterly different without him. His flair was for narrative, cruelly withholding crucial information (from his characters and from viewers) and engaging the emotions of the audience like no one else.” He received his knighthood from Queen Elizabeth II in the 1980 New Year Honours. In 2002, the magazine MovieMaker named Hitchcock the most influential filmmaker of all time.